If you are in the market for a compact electric bike, you might be interested in the new Boxx. Which has been designed to provide you with a electric bike that can take you up to 80 miles on a single charge, reaching a top speed of up to 35mph. The Boxx Electric Bike measures just 36″ long and weighs in at 120 lbs, and can carry riders weighing upto 300 lbs in weight. 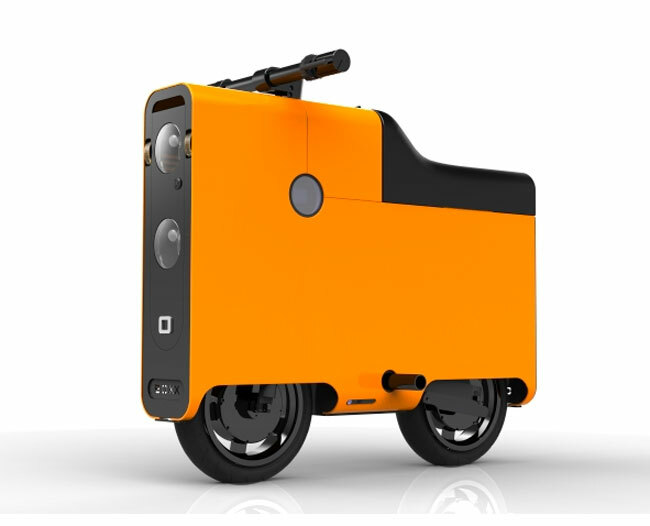 Watch the video after the jump to see the Boxx electric bike in a a little more detail. Its features include drive-by-wire control systems, all-wheel drive, traction control, anti-lock brakes, LED lighting and an optional heated seat for cold weather. The Boxx is constructed from aluminium and extra features include a glove box, cargo bay, an all LED dot lighting system with hazzards to name just a few. If you are interested in owning a Boxx electric bike, the privilege doesn’t come cheap with models starting from around $4,000. For more information and to see all the available colours and options, jump over to the Boxx website.